Ruby Chocolate: The First Taste…! It’s here. Ruby chocolate. Time Cupsoul was gifted a bar from family that traveled to the EU. The Fortnum & Mason bar, “Ruby Chocolate,” was now in hand. Time Cupsoul could not wait. Was the historical chocolate bar just moments from the lips? The bar was enthusiastically unwrapped to unveil a gorgeous rose hue, and small chocolate squares at the ready. It even smelled somewhat floral, yes, again like roses. Time for the first taste. Snapping a piece off of the bar didn’t provide the sharpest break, but a solid break nonetheless. First nibble. Yes, ruby chocolate does taste like white chocolate (cocoa butter) with berry flavoring. But wait. At the end of the mouthfeel, there’s a unique sharp tartness that surprises you, and it’s “glorious,” just like the packaging describes. To Time Cupsoul, there’s a blueberry essence — to other friendly sharers and nibblers, it’s raspberry or cherry. 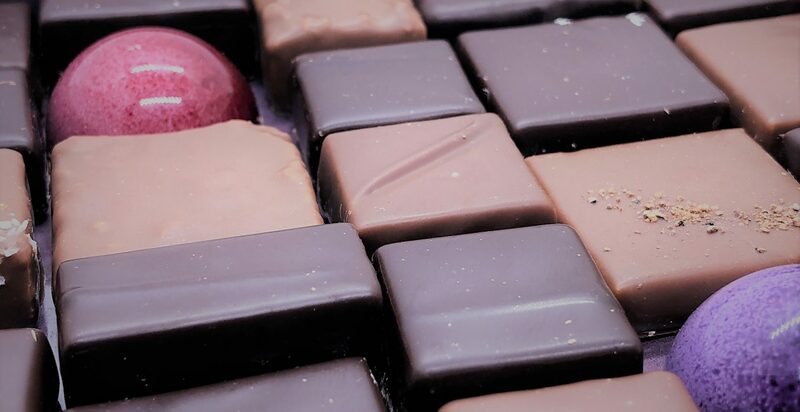 Or, was all of this philosophizing simply wishful thinking and ruby chocolate really is just flavored sugar?… As many have asked, is ruby chocolate just genius marketing? And is it even possible to use the cocoa flavor wheel on Ruby? Let’s pretend for a second that this truly is the fourth type of chocolate that Barry Callebaut claims it to be, stemming directly from the cocoa bean itself and not from additives or flavoring. In that case, this is truly exciting, and using the cocoa flavor wheel, Time Cupsoul classifies this bar as predominantly, you guessed it, “fruity” notes with further classifications of “red berry” – “cherry” and “raspberry.” Tart, and yes, “refreshing,” like fellow chocolate enthusiasts have described it. It seems that Time Cupsoul has been left with more questions than answers. Sincere apologies, dear readers, and fervent hope(s) that you can enjoy a nibble of ruby chocolate very soon. Have you tasted ruby chocolate? Send your thoughts this way and we can ponder together. *Please note that chocolate bars consumed and reviewed by Time Cupsoul are randomly chosen and are generally purchased with personal funds. This particular bar was generously gifted to Time Cupsoul.